Freefold sliding folding door system with 35mm shaker oak internal doors with clear glass. 10 years manufacturing guarantee. 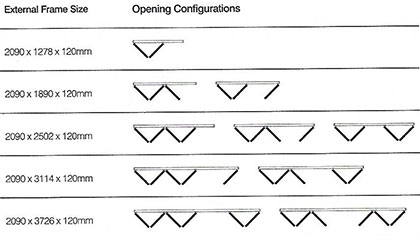 Product is not handed, therefore displayed opening configurations are also available in their mirrored versions. Displayed sizes are the external frame measurements. Factory finish available on special request.